BEST COLORED PENCILS: Do You Really Need It? This Will Help You Decide! The best colored pencils have for a long time been considered staple by art lovers. Looking for a colored pencil, however, can be such a hustle. There are so many overwhelming options that you are bound to get intimidated especially when you don't know what you are looking for. Of course, not all pencils are the same. There can be a lot of subtle and not so subtle differences that can make a particular pencil stand out from its counterparts. There are also a lot of wide range color pigments, additives, and binding agents. Some require you use water to blend while others are not. Apart from this, user can be confused about the right size, shape, and method of application to use, not forgetting the difference prices for each. However, this article will aid in your decision on the model to look for. This comprehensive guide will even go further and review some of the top rated best coloring pencils that have hit the market in the past and now. After carefully considering these factors, it is important that you don't get excited after seeing attractive packs. This is unless you are planning them as a gift. It is, however, important to consider factors such as durability in terms of whether the pencil is bound to breaking when sharpening. In light of all these, I have below the top best colored pencils reviews that you should choose out from. The Prismacolor Artist Quality Colored Pencils comes with a wide range of about 72 vibrant colors. It’s a most used best coloring pencils. With this number, you are sure to achieve your masterpiece accurately and completely. You will sure like the soft cores that are the artist's choice for blending, shading, and layering. Prismacolor art pencils at the same time, feature pigments of unparalleled quality and leads that are thick and durable enough to be sharpened for precision. This empowers you to effortlessly transition between forceful lines, delicate blends and smooth shadows. Designed to handle detailed work for advanced students and artists, these Prismacolor Premier Colored Pencils feature high-grade pigments for rich color saturation. Other features include soft, thick cores for superior blending and shading and a color coded wood casing for easy identification. I also found the soft cores resistant to breaking. 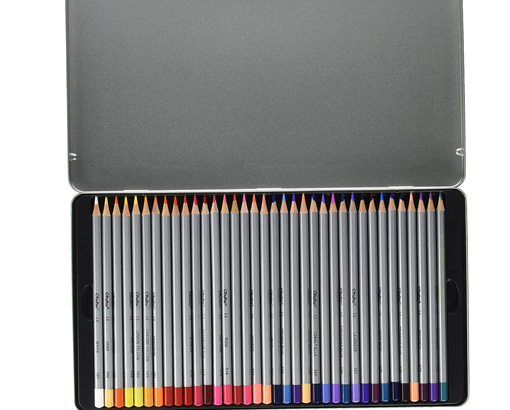 The Prismacolor is designed with professional and artistic qualities for every level of expertise, and these pencils include a convenient tin case. Soft, thick cores are perfect for shading and shadows. Ultra-smooth, even color lay down. Thick, robust leads resist cracking and chipping making them perfect for adult coloring books. Some models have breaking issues while sharpening. This studio box contains 36 Polychromos colored pencils. These pencils are made of the highest quality components. With the market research on drawing pencils it’s one of best colored pencils. The Polychromos artist's pencils also have an unbreakable lead that uses oil-based technology to allow for easy, wax-free color blending. Check the factors to consider in the introduction part of this article to understand the benefit that comes with the oil-based pencils. They also offer smooth drawing, and they do not break due to SV bonding. These colored pencils are a necessity for use in graphics, freestyle sketching, or architectural plans. You can be sure to surprise your better half with these as they make a wonderful gift for amateur or experienced artists. They're not cheap. But all I can say is I love them. They feel sturdy, in your hand. You can also sharpen them to the teeniest, tiniest point. You will discover you have spent lesser time while sharpening than other models. The colors are just wonderful, and they blend very well. I really can't find a fault in them, at all. It's one of the best-colored pencils you will find. You should add these to your collection. Studio box of 36 Polychromos pencils. Colored pencils of the highest quality · Smudge-proof and water-resistant thick oil pastel lead. Break-resistant due to SV bonding. These pencils are great, highly pigmented, easy to sharpen with no breaking or splintering when trying to get that fine point, and are agronomical. The best part being that they are Eco-friendly, because I am extremely concerned about the future of our planet and the fact that these are made from recycled material is awesome. 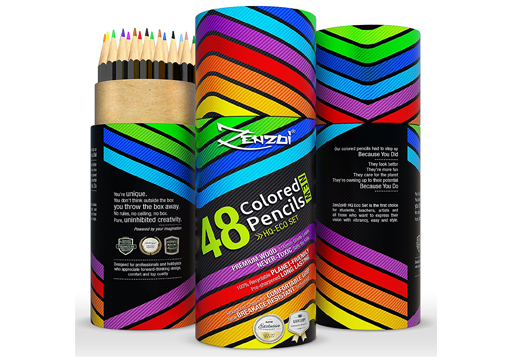 Due to these reason I added ZenZoi Pencils in the top ten best colored pencils. The set comes with 48 different shades, so you will never have trouble finding the exact color. The container is great, keeps them handy and easy to find when creativity strikes! What's not to love. Take it from me, having kids in the house will always need colored pencils to use for either school work or even coloring books. When I saw this amazing set, I knew it was something that would be great to get due to the amazing colors that come in the set. The tub they come in is recyclable which I am all for. I also love that they aren't easy to break, but can easily be sharpened at the same time. With this order, you also get a free creative coloring e-book in PDF. Packed in 100% recyclable tubes which are not toxic and cruelty-free. Good for adult coloring as well. The lead just breaks and falls out. The color coding on the end of the pencils many times were incorrectly keyed. The ZenZoi would also work great for those who have the adult coloring books. They are a perfect gift that you can give to any person who loves craft. These would also work for ones who sketch their drawings and just loves to be creative in their way the options are endless with these color pencils. Because the case they come in is beautiful, it makes gift giving easy just the way that they arrive. 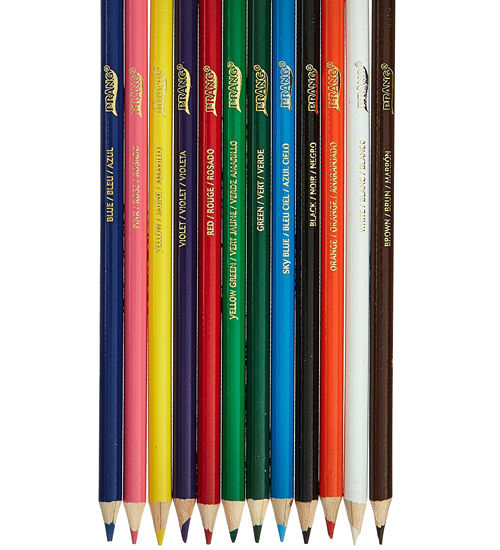 TheSargent Art 50 count Colored Pencil set has a great selection of colors. They come in 7 inches long with 3.3-millimeter thick lead. They work as a nice set to start with or to add to your art supply collection. These best colored pencils are made with high-quality pigments for consistent color coverage and premium wood for easy sharpening and durable, long-lasting usage. With a 50 variance of Colored Pencils for artists and illustrators of all ages, it has never been easier for the artist to choose the Subtle colors also come with a variety of shades and hue variations. They are excellent for drawing, illustrating, and special effect blending to create a special blurring and blending effect, enhancing detail areas and small delicate Images. Solid wood barrels makes for good sharpening (but always use a handheld sharpener). Pencils come pre-sharpened well, with hard conical points. To get much "artier," more professional colored pencils cost a lot more than this set. An adequate number of neutral and earth tones. They take a bit longer and require more caution to sharpen than brands. Like most colored pencils, they don't have their erasers. The artist choice comes with a whole wide variety of colors, totaling up to 120. This will almost definitely make the reader have an array of varieties to choose from. It’s one of the best coloring pencils for an artist first choice. A wonderful thing about this brand is that it has its individual slot, hence making it helpful for storage when you are on the go. It also takes up as little space as possible. This feature I guarantee you won't find with other models. You can tell from its features that it was created to offer high quality for all types of artists. Regardless whether you are a professional, amateur or a beginner, you will almost definitely be satisfied with this product. I highly recommend it. Has 120 unique and wonderful colors. Designed and developed by artists hence expect to address artist demands. Great tool for creative ideas. Tips prone to break if sharpened or press too hard. I love these pencils! The colors are rich and fabulous. In my experience with color pencils, I found that breaking pencils is something that all pencil brands have, so it's a separate thing from the color quality of pencils. If you're a colorist, you want your colorings to stand out to the best of your ability, and these pencils fit the bill. For color vibrancies, these are the best colored pencils out there, and you learn to live with the reality of breaking pencils and realize that it will not stand in the way of you putting out some serious coloring. I mean, stuff that you'd want to frame. Okay, now the pencil sharpener, I don't use it because I go with an electric sharpener. Folks, please, do you a favor and get you an electric pencil sharpener. If you're into coloring with pencils, it makes no sense for you not to have one. Otherwise, I know you will love these pencils. 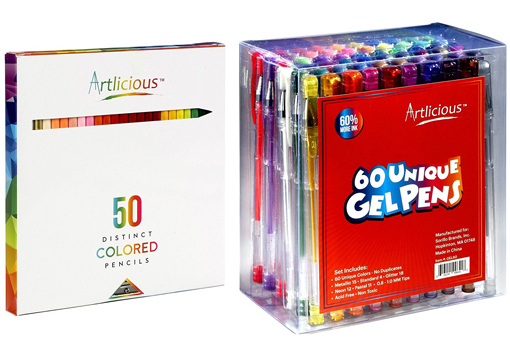 50 distinct colored pencils & 60 deluxe gel pens. 50 distinct (no duplicates) quality colored pencils with a metal sharpener. For easy identification, the exterior of each pencil is colored to match the core, and the color name is printed on the barrel. Gel pens are non-scented, non-toxic & acid-free and will not bleed through or skip. Color breakdown by category for Deluxe Gel Pens - 15 Metallic, 4 Standard, 18 Glitter, 12 Neon, 11 Pastel. Problems with sharpening in some of the models as they seem to break. Great art starts with great products. Manufacturer Louis Prang develops child-safe art products that uphold the highest standards of quality in materials and color. These standards are maintained today in a comprehensive line of Prang art products for both children and professionals. Box consists of four dozen colors plus two metallic: Gold and Silver The Prang 3.3 Millimeter Core Colored Pencils have smooth cores for vivid, bendable color laydown. These quality colored pencils are manufactured using only the finest materials. Cased in real wood, these colored pencils come pre-sharpened and ready-to-use. They are both PMA and AP certified non-toxic. Be bold, color your world, and discover Prang power. The pencils sharpen well, but it's recommended you use a hand sharpener. The model's Round barrels are easier on the finger than the more traditional wood cased (hexagonal) style of a pencil. This is why I added in the list of the best coloring pencils. The pencils have smooth cores. Already sharpened so you can use them after buying. Perfect for students, teachers, and artists. Do not contain toxic materials. Do not come with a hand eraser. 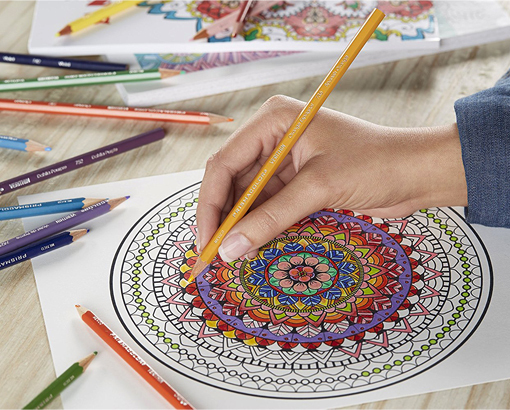 Sketch intricate details, defined lines, and crisp edges define the Prismacolor Premier Verithin Colored Pencils. The model is made by manufacturers who have been endorsed by experts as the best-colored pencils manufacturer in the market. 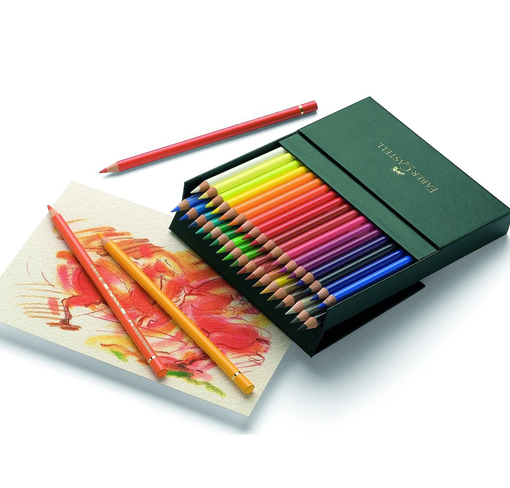 Inside the box you will find 36 colored pencils featuring thin, hardened cores that sharpen to an ultrafine-point and resist crumbling, making them the artist's choice for details and lettering. 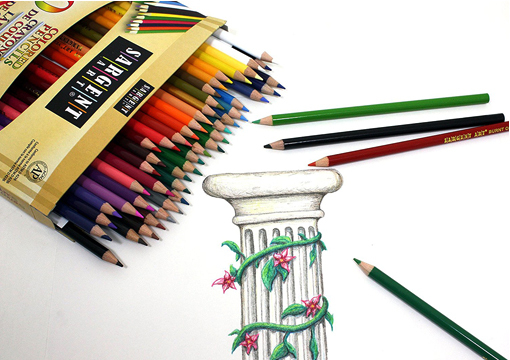 At the same time, Prismacolor art pencils feature pigments of unrivaled quality and richness. This empowers you to craft pieces with elements that are both precise and intense. I find this set of Verithin indispensable for creating detailed art. With the nature of this colors, you can layer colors to create texture. With this set of pencils, I like the fact that the leads are thin & hard, and can go a long time without sharpening. So I find this to be a perfect set for traveling or sketching outdoors. There are no other colored pencils I've tried that can do exactly what these do. The Prismacolor Premier will surely make your drawings even more vibrant. I have to say these pencils re-ignited my love for drawing. Any artist should have these best colored pencils. Thin cores are perfect for details, edges, and lettering. Leads resist crumbling, cracking and breakage. Hardened cores sharpen to an ultra-fine point making them perfect for adult coloring books. 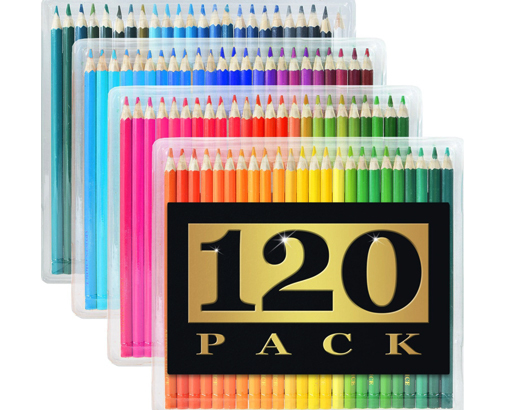 Includes 36 premium colored pencils. Some models have pencils breaking when sharpening. 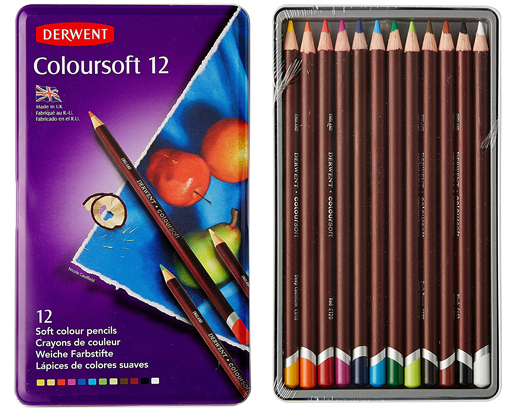 Derwent Color soft pencils are soft, smooth, and velvety dry colored pencils. They have a bit of a bite against the paper, similar to pastels or graphite and then infused with the smoothness of a colored pencil. When using these pencils, you will find them pretty comfortable in your hand. They are made to produce thick and soft lines which are perfect for different types of drawing styles. 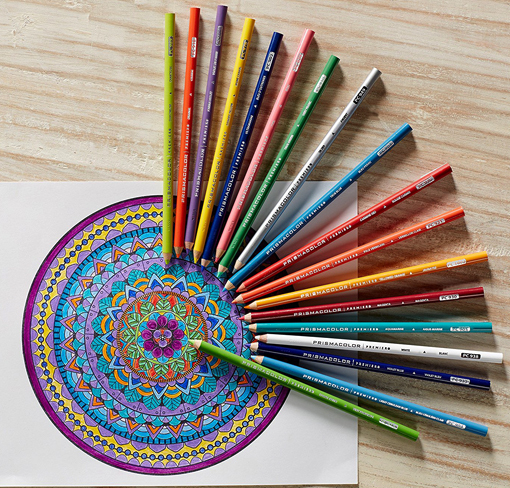 These colored pencils also have a 4mm core that allows you to achieve an effective control and crisper edges. I have tried different types of pencils earlier before, and they all frustrated me. This model seemed to be very different, and I could tell this right from the sharpening stage. As compared to other pencils that I have used before, these sharpen easily, and they do not break with ease. They are excellent and worth every penny. The range of the 72 are simply amazing - and blends very well, a burnisher would make it shine. Smaller packs mean you wouldn't have enough range this would make you spend more eventually. This brand is so much better than most of the brands you rate most. You just have to try out these type of the best drawing pencils. Colorsoft pencils are acid-free and tested for light fastness. Color tab at the top of the pencil matches the color core for easy identification. Pre-sharpened, so you can get to work right away. Found in a metal tin of 24, 36, or 72 and wooden boxes of 18, 48, or 72. Metal case is not the best for carrying around. They come in 72 vibrant colors and are designed to blend easily without smudging. The heavy tube case was a big selling point, as I plan to carry these around a bit. As for the quality, I was pleasantly surprised. They are made with sturdy, top quality wood which is rich in pigments to allow you to write and draw at ease. You can also feel assured these pencils are safe since they are toxic-free and safe your children. For my purposes, they're great. The lead might be a little harder, but for the quality at this price point, they can't be beaten. If you're looking for some decent quality and best colored pencils at a good price, look no further. The tube is awesome for protection & storage, but not so much on functionality during use. Rich pigments and softcore to allow you to write, draw at ease. The hinges on some tin aren't made well, they bend, and the top cover came off. Now it's time to know step by step buying guide. It will help you to choose best drawing pencils easily. Colored pencils greatly vary in terms of quality and usability, the concentration of pigments in the core, light fastness of the pigments, durability of the colored pencil and softness of the lead are some indicators of a brand quality and consequently its market price. When buying a commodity, the first thing you look at is the price, even with colored pencils, it is still obvious that the price is the first determining factor as to whether to buy it or not. Whether you have a low budget or otherwise, you can still grab a pack of the best artist colored pencils. However, you get what you pay for. If you have freedom of budget, I would, however, advice you to go for the top and best quality colored pencils. The quality of the pencil will reflect on your work. Binder is the material that holds the pigment together so that it can be applied to a drawing surface. It affects the marks the pencil leaves and how the pencils behave on the surface. It also affects the tip of the surface and the softness of the core. Different pencils have different types of wax binders. Waxy binder is an example of such binders that have been in use. The waxy binders allow them to be layered and burnished as additional layers are added. A drawback with wax binders, however, is wax bloom. Wax bloom is what happens when a white surface appears on the drawing after a few weeks. However, it can be easily wiped away and potentially prevented using fixative. A second option is the oil based binders. The binders in mark and layering are different with the waxy binders. In fact, if you are used to using waxy binders for your artwork when you start using the oil-based, you will notice the difference. The oil based pencils layer nicely and provide rich color, an advantage it shares with the waxy type. However, the wax bloom present in waxy binders is less of an issue with oil based binder. It should not be just color, but also possess a few qualities too. These four qualities to me are of grave importance. They should be to you too. It is important that you put in mind these qualities before settling on a pencil. Unfortunately, it is rare to find such a pencil which is best in all these categories. A quick example is Prismacolor premier which is easily layered and burnish easily yet are so soft and brittle. Polychrome pencils on the other hand feature a strong core. It's up to you to have your priorities well laid. There is, of course, a different recommendation I would give to an artist from a beginner and an artist. The best coloring pencils are a mixture of hard and soft pencils. You would want beautiful soft coloring for larger areas and mix with hard pencils when you want to work on the detail. For beginners, I would recommend a cheaper pencil. I tried out different pencils altogether before I got to find my ideal one. Trying out all will help you balance between the disadvantages both have and also check on qualities. The one with more qualities and lesser disadvantages wins. For an artist experienced, it's always wise to look for something you haven't tried before. Variety is the spice of life especially when budget is not an issue. If you want to be a digital artist, must read the following guides.How to choose the best drawing tablet in 2017?Choosing the best drawing tablet under $100. If you want to be a digital artist, must read the following guides. How to choose the best drawing tablet in 2017? Choosing the best drawing tablet under $100.